This Friday, we pay tribute to some of the greatest players who have been stopped in their tracks. It’s fairly shattering to watch a promising tennis player on the rise, or one at the peak of their powers, suddenly struck down. What’s more, there seem to be so many ways in which this can happen. Countless players have had their careers cut short by injury or illness, or other factors, often outside of their control. It’s been happening this year on the tour. Rebecca Marino walked away from tennis recently after recounting the emotional scars that linked back to the online abuse that came with her rise into the top 40 in 2011. Brian Baker and Andrea Petkovic, finally enjoying success after years of injuries, were again hurt during the Australian summer. Rafael Nadal has only just returned from an eight-month lay-off with knee tendonitis, and is still unsure what his comeback will bring. This Friday, we reflect on some of the greatest players who have been stopped in their tracks. The Russian, almost as famous for being Marat Safin’s younger sister as for her tennis talents, very nearly hit the same heights as her brother when she became No.1 after reaching three Grand Slam finals during 2008-2009. Yet she could never win the big one, and was seen in the eyes of fans and media as an “illegitimate” top-ranked player. A bank injury surfaced in late 2009 and marred her 2010 and 2011 seasons, causing her to fall out of the top 100 and eventually walk away from the game indefinitely in May 2011. Yet one wonders just how much her thrashing in the 2009 Australian Open final to Serena, her nervy performance in the French final that year against Svetlana Kuzntesova, her 6-1 6-0 thumping by Venus in the 2009 Wimbledon semifinals and the constant questions surrounding her No.1 status – plus a 6-0 6-0 loss to Kim Clijsters in the first round of Australian Open 2011 – all contributed to her making the decision to leave the game behind. Mary Pierce’s 2005 season was one for the ages, with the Frenchwoman – an Australian Open winner in 1995 and French Open champ in 2000 – rediscovering her scintillating game. Appearances in the French, US and WTA Championships finals and titles in San Diego and Moscow helped her jump from outside the top 25 to No.5. Yet just as she had re-established herself as a force in the game, 2006 was an annus horribilis; a right foot injury limited her to just eight events and caused her to fall out of the top 20, before the killer blow came in Linz. Pierce severely injured her left knee running for a forehand, dropped to the ground in agony, and never played again. A top 10 mainstay from 2003-2005, Guillermo Coria began developing the service “yips following his last ATP title in Umag, Croatia. The problem worsened to the point that by 2006, the Argentine was averaging 11.5 double faults per match, and often hitting tallies in the 20s and 30s. His ranking plummeted, and in 2009 retired from tennis aged 27, citing a loss of passion to compete. It’s little surprise, given he’d languished mostly on the Challenger circuit outside the top 200 since early 2007. “In 2005 I began to feel less and less like competing. My passion just wasn’t the same and it’s impossible to do things well when it’s like that,” Coria reflected in a statement. Although it happened a year earlier, it’s hard not to link his crushing finals loss at the 2004 French Open – where he let slip a two-sets-to-love lead against little-fancied Gaston Gaudio – to his subsequent decline. The Swiss Miss was among a number of top female players whose careers were stopped not once, but twice. While ranked in the top five Hingis suffered from injured ankle ligaments in 2002 which necessitated surgery, but continuing pain forced her to shut down that season prematurely. She then announced that she was leaving the game indefinitely. 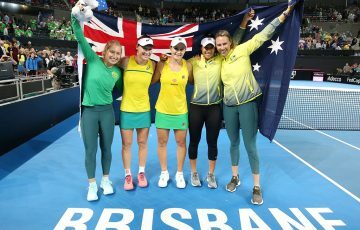 Yet missing the competition, Hingis successfully returned to the women’s tour in 2006, reaching three Grand Slam quarterfinals, winning three titles and peaking at world No.6, before misfortune again struck – she tested positive to cocaine during Wimbledon 2007. Despite denying that she took the drug, Hingis chose not to fight the two-year ban and announced her retirement in November 2007, ending her storied career. Belgian star Kim Clijsters was another player who twice ended her career. In 2007, after years of constant injuries and worn down from nearly a decade of constant travelling and competing, she abruptly walked away from the game while still ranked No.4, also revealing that she wanted to start a family. She returned with a vengeance in 2009 to win the US Open (with toddler Jada in tow), the first of three Grand Slam titles in her “second career”. Yet after winning the 2011 Australian Open, injuries again mounted – abdominal, shoulder, ankle, hip and wrist ailments limited her to 16 events in total across 2011 and 2012. Clijsters ended her career in New York in 2012, and finally gave her battle scarred body a rest. She and her husband Bryan Lynch recently announced they were expecting their second child. Henin enjoyed a career-best season in 2007. Yet her two Grand Slam titles, 63-4 win-loss record, 10 titles and unbeaten winning streak (since Wimbledon) of 25 matches proved a draining feat – Henin later revealed that her competitive fire had diminished as a result. It showed in early 2008 as she suffered thrashings from Sharapova (Australian Open) and Serena (Miami), then retired after losing to Dinara Safina in Berlin – the only No.1-ranked player in the history of the game to do so. She returned two years later (with moderate success), her fire restored and intent on winning Wimbledon, the only major to elude her. Yet against Clijsters in the fourth round at the All England Club, she slipped and hyper-extended her elbow, innocuous-looking at the time (see the point from the 17-second mark) but something that kept her off tour for the rest of 2010. She returned briefly in early 2011, but after losing in the Australian Open third round, decided the elbow would continue to cause her trouble. She promptly retired again. Having won 11 Grand Slam titles, including five straight Wimbledon titles from 1976-1980, Bjorn Borg’s career read magnificently. Central to it was his rivalry with John McEnroe, with the pair’s 1980 Wimbledon final – which Borg won in five sets – widely considered to be one of the best matches of all time. Yet when McEnroe finally gained the ascendency in the match-up by winning their Wimbledon and US Open finals of 1981 and snatching the No.1 ranking, the passion for tennis appeared to completely drain out of the Swede. At just 26, he stopped playing shortly after that US Open loss, and despite making a comeback attempt in the early 1990s, failed to win a match. 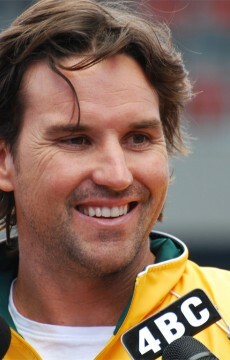 Pat Rafter’s trademark kick serve and dashing serve-and-volley play made him a massive fan favourite, not just in his beloved home nation, but all around the world. Yet it was this style of play that put an enormous amount of pressure on his right shoulder, and forced him out of the game while he was still one of the best on the planet. Rafter won the US Open in 1997 and 1998 and rose to No.1 in 1999, but his shoulder scuttled his chances of a New York three-peat, the troublesome area causing him to retire in the opening round, and ensuing surgery forcing him to miss Australia’s winning Davis Cup final over Spain. 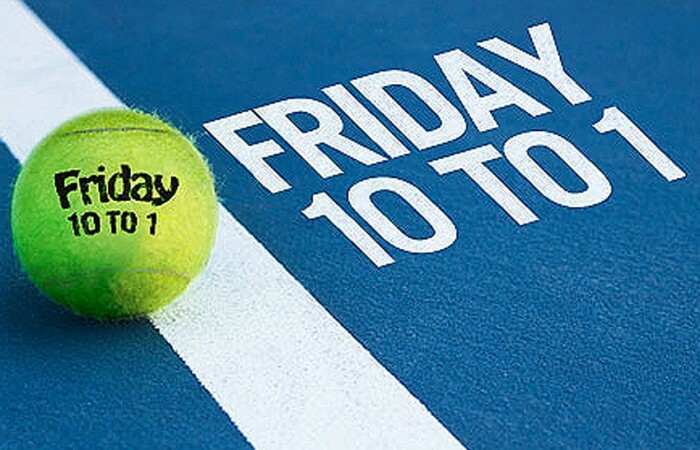 Two Wimbledon finals followed in 2000 and 2001, as did a continuing position in the top 10. But the shoulder reared its head again in the 2001 Davis Cup final against France, forcing him to sit out the reverse singles rubber and watch as France won the title, denying Rafter a maiden Davis Cup victory. His loss in the doubles rubber with Lleyton Hewitt (see video below) was his last professional match. Alicia Molik’s rapid rise up the rankings was an exciting and heart-warming story; from August 2004 to February 2005 she built a 37-7 match record, won four titles, won Olympic bronze in Athens, reached her first career Grand Slam quarterfinal at the Australian Open and rose from No.26 to No.8. Yet shortly after, things went awry. Molik was forced to take several months off to deal with vestibular neuronitis, an inflammatory condition of the inner ear severely affecting her balance. She returned in June 2005 but struggled, going 1-8 for the remainder of the season. Especially heartbreaking was her first round retirement during her Zurich title defence, after which she left the court in tears. 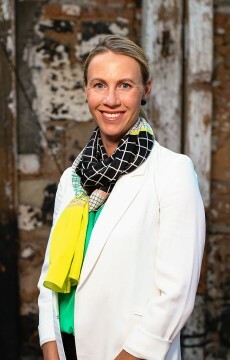 She made a number of comeback attempts in the ensuing years, but played sporadically, peaking at world No.57 in 2007. Few players have been struck down in their prime like Monica Seles, and the manner in which it happened was like something out of a horror movie. Playing against Magdalena Maleeva in the 1993 Hamburg quarterfinals, Seles moved ahead 6-4 4-3 and sat down at her courtside chair, only for a crazed fan to come from the crowd onto the court and plunge a knife into her back. His motivation apparently lay in returning Steffi Graf to the No.1 ranking, and it worked – the Yugoslavian-born American was absent from the game for more than two years. Up until the stabbing, Seles had won six of the eight Grand Slams in 1991 to 1992 and had begun 1993 in much the same way, with an Australian Open title and 17-1 start to the season. Although she returned to tennis and won the Australian Open in 1996, she was never the same dominant force.